Kelly Hatfield and April Taylor are leaders and entrepreneurs at heart. They believe fully in the power of the ripple effect and the opportunity that each of us has to create meaningful, positive and long-lasting impact in the lives of our teams, our clients and all who we serve. They consistently focus on ensuring that this amazing opportunity is realized. Kelly and April have built several successful companies directly connected to helping others live into their opportunity to make a greater impact. service and people, their reach has organically expanded into the area of coaching and consulting. With a focus on high-performance, they partner with companies to support and develop their leadership teams and design recruiting and retention strategies. 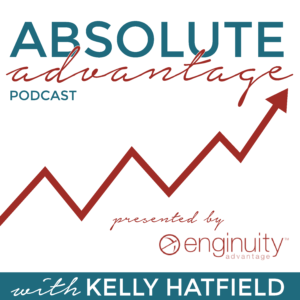 Additionally, their work as hosts of Absolute Advantage Podcast offers a conduit to deep discussions with successful entrepreneurs, executives, and thought leaders across a variety of industries. This has provided them a unique perspective and deep connection to leadership, people, entrepreneurship and high-achieving practices from all viewpoints. what it takes to make the greatest impact. The Absolute Advantage is about learning from some of the world’s most successful entrepreneurs, leaders, and achievers at the top of their game. You don’t need to reinvent the wheel when chasing your dreams and becoming the best version of yourself. Instead, shorten your path to success by learning from the stories, strategies and concepts shared by our expert guests. Then shorten it even further by learning about amazing resources (books, webinars, tools, software, events, coaching, etc.) that should be on your radar. You are not alone in the challenges you face as a leader! 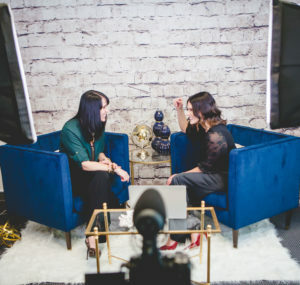 It’s our mission to help you walk away with at least one idea you can apply each episode and to offer content that inspires, encourages and helps you grow and make an impact QUICKLY both professionally and personally.